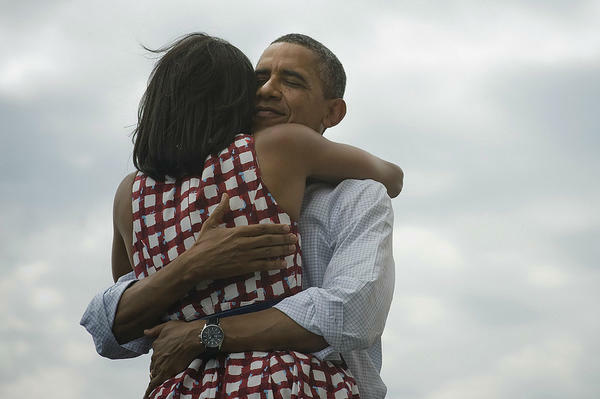 Shortly after winning the elections Barack Obama posted a picture of him and his wife Michelle coupled with the words 'four more years'. He tweeted the message around four o'clock at night and since then it has been re-tweeted almost 800,000 times. The president's post is the most retweeted post ever. The same picture was also uploaded to Facebook where it became the most 'liked' photo ever. Almost four million people 'like' this photo. The Accuracast team would like to wish the President the best of luck on the social network sites during his second term! Is Internet a key determinant of a country's GDP? Facebook, Google Plus or Diaspora? Could recycling apps raise money for charity? Facebook: a new design could be the next step. Facebook helping to fight crime!